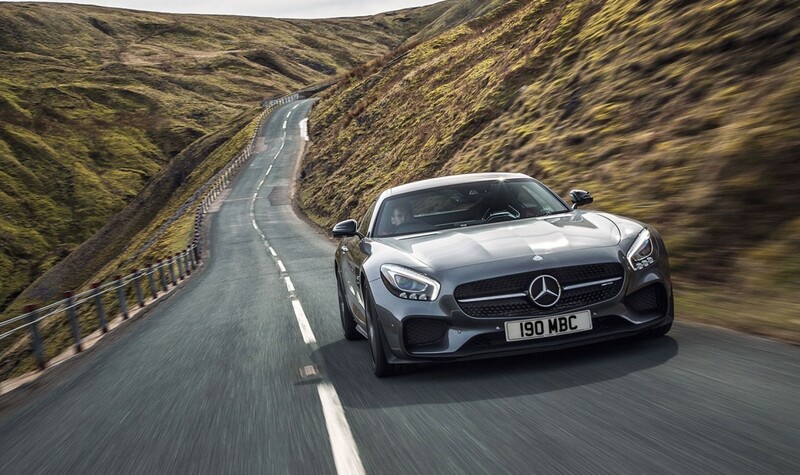 Mercedes AMG GT base version without S was launched some months after the powerful AMG GT S. Car magazine has tested the AMG GT base version with 462 HP. The review starts with a question. Does the extra 48 HP really make the difference? In raw performance terms, perhaps not. And also the sound impressions are very nice. But the missing three stage adaptive damping offered only in option for the base version (standard on AMG GT S) irritate on the roads around Cambridgeshire. Also, the AMG Dynamic Plus package is not available for the base version. And these are not the only differences. The GT has 19-inch wheels all round as standard, though our test car was upgraded to 20-inch rears like the GT S, and a regular mechanical locking limited slip diff rather than a fancy electronically controlled one. It also misses out on the GT S’s marginally bigger front brakes, lightweight lithium ion battery, an additional ‘race’ setting mode for the seven-speed automatic transmission and some minor trim differentiation. The Car verdict says that AMG GT is a fantastic looking machine but the base version is not as fascinating as the top version with Dynamic Plus package. And without adaptive damping does not offer the Grand Tourer routine as an alternative. And the price is higher than the Porsche 911 Carrera S.
You can find the full review on www.carmagazine.co.uk website.